On Tuesday, August 15, 2017 Dr. John Hipp, Dr. Kevin Kane, & Dr. Jae Hong Kim presented cutting-edge research focusing on different dimensions of the Southern California region, and the consequences for neighborhoods in the region. Business Relocations in Southern California: Moves within and across cities and neighborhoods, which shares insights on business relocations in Southern California’s complex regional structure. What makes housing accessible to everyday destinations in Southern California?, which sheds light on housing accessibility across Southern California based upon street networks and consumer businesses. Watch the MFI Research Team provide further insight on the findings and answer questions. 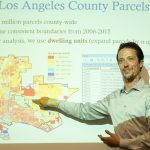 On Thursday, September 29, 2016 Dr. John Hipp and Dr. Kevin Kane presented cutting-edge research focusing on different dimensions of the Southern California region, and the consequences for neighborhoods in the region to the Southern California Association of Government’s Regional Council Meeting. Neighborhood Mixing and Economic Dynamism, which explores mixing across the dimensions of income, racial composition, age, land use, and the type of housing in Southern California, then ask what are the consequences of mixing for economic dynamism in neighborhoods. Detecting Job Density Over Time, which shares insights on the employment concentration in Southern California’s complex regional structure. Understanding Business Churning Dynamics and their Spatial Variation, which sheds light on the effect of business churning across Southern California based upon industrial composition, business climate and other socio-economic factors. 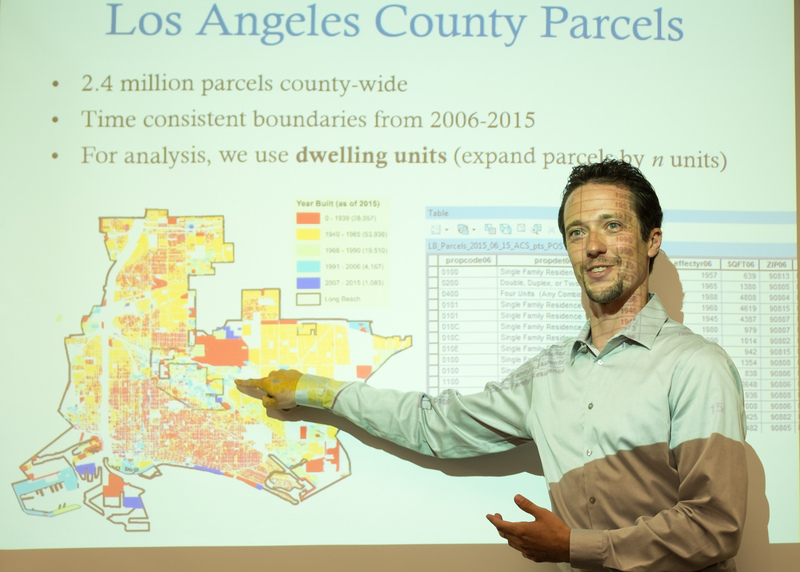 On Tuesday, August 9, 2016 Dr. John Hipp and Dr. Kevin Kane presented cutting-edge research focusing on different dimensions of the Southern California region, and the consequences for neighborhoods in the region. 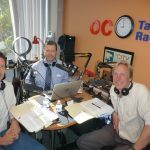 The City Square, the radio show hosted by the Association of California Cities, Orange County interviewed MFI Director Dr. John Hipp and Research Fellow Dr. Kevin Kane to discuss the MFI’s recent research on regional growth and development on July 20, 2016. Click here to stream or download the podcast. The City Square is the region’s only radio show tackling policy and politics. The program delivers an entertaining, thought-provoking and hard-hitting look into Orange County’s political and policy world. Dr. Kevin Kane evaluates the impact of building-level and neighborhood-level characteristics on the accessibility of neighborhood businesses to housing units using Long Beach, California as a case study. While advocates of smart growth and New Urbanism encourage both mixed-use developments and land use mixing, analysis at the aggregated level can be too coarse to pick up on the fine-grained characteristics of urban streetscapes. The Metropolitan Futures Initiative (MFI) Second Regional Progress Report presentation was held on June 11, 2014. The audience was welcomed by the School of Social Ecology’s Dean, Valerie Jenness. Professor John Hipp, Director of MFI, revealed data that adds to the findings of the first report on jobs, home values, land use, crime, and the economy. On June 14, 2012 Chancellor Michael V. Drake, M.D. welcomed community members, students and professors to the release and discussion of the Metropolitan Futures Initiative (MFI) First Regional Report. Professor John Hipp, Director of MFI, presented a summary of the interesting findings on topics such as housing, jobs, transportation, and crime. Dan Immergluck, Professor Georgia Tech University, School of City and Regional Planning, was the featured speaker on May 4, 2011. This event was part of the Metropolitan Futures Initiative and was co-sponsored by MFI, School of Social Ecology, Community Outreach Partnership Center and the Center for Community Development Studies. Immergluck presented on the polices and systems for responding to foreclosures and the housing market stress. 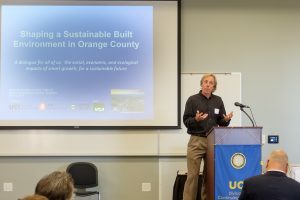 On April 21, 2011, Dave Feldman, Chair and Professor in the Department of Planning, Policy and Design at UC Irvine, discussed California’s long history of contentious, often divisive water politics. His lecture examined the issues caused by growing population, urbanization, pollution, and climate change and provided some potential solutions.